This information was disclosed in a recent study by Gavop using statistics from the Home Mortgage Disclosure Act (HMDA). The analysis was designed to quantify approval rates in Phoenix, AZ, during the five-year period between 2013 and 2017. The trend in Phoenix shows that home purchase loans have the highest approval rate, followed by refinance loans and home improvement loans. 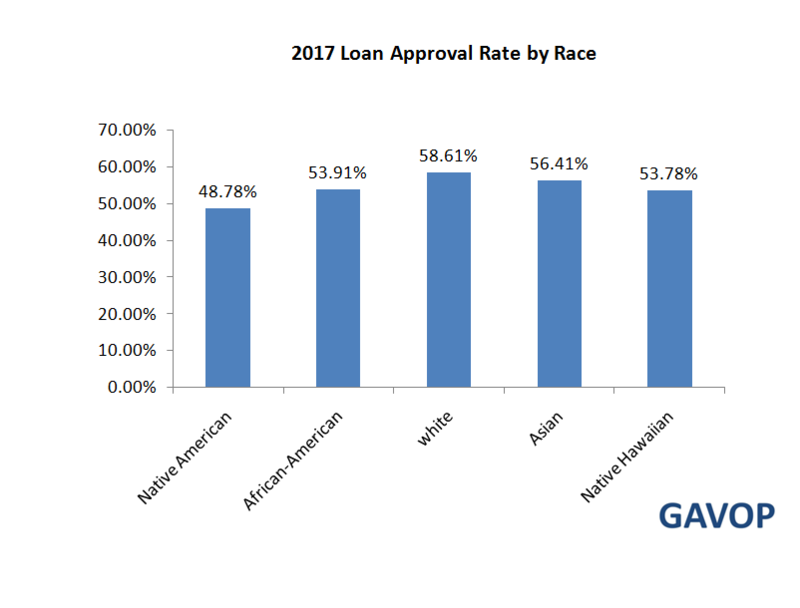 The following graph presents the data, which show the approval rates of each loan type. The numbers varied between 2013 and 2017, with an unusual pattern observed in 2013. The data shows that in 2013, refinance loans had a higher approval rate than home purchase loans did (55.54% vs. 50.37%). 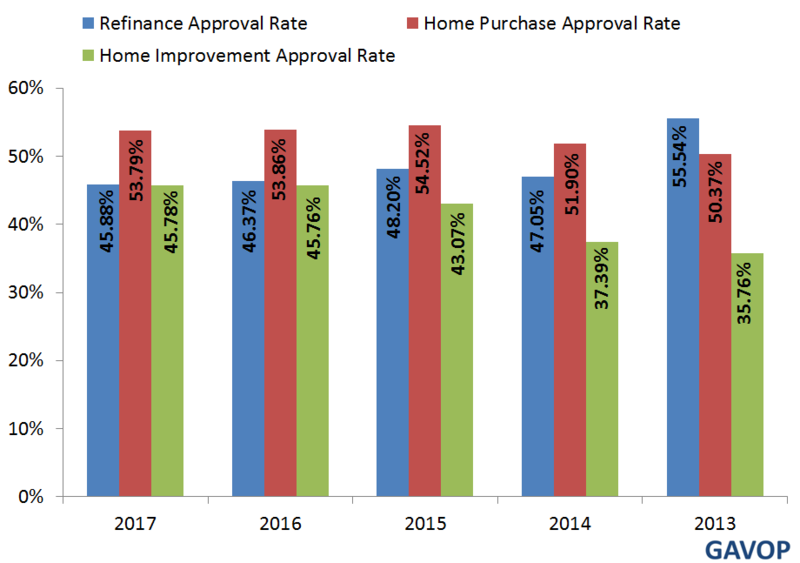 From 2013 onwards, the gap between refinance and home improvement approval rates began to shrink. Data from 2013 for Phoenix, AZ, also stands out in comparison to national figures, since in this year, approval rates for refinance and home purchase loans were up to 10% higher than the national figures ,while approvals for home improvement loans were over 10% less than the national values. Then, between 2014 and 2017, the approval rates for all three loan types were 1% to 10% below the national averages. Additional research shows that among the past five years, 2016 had the largest number of loan applicants at 217,724, while 2014 had the lowest number, at 145,227. To provide a sense of the loans processed in Phoenix, the following table compares the total number of loan applicants with loan originations.